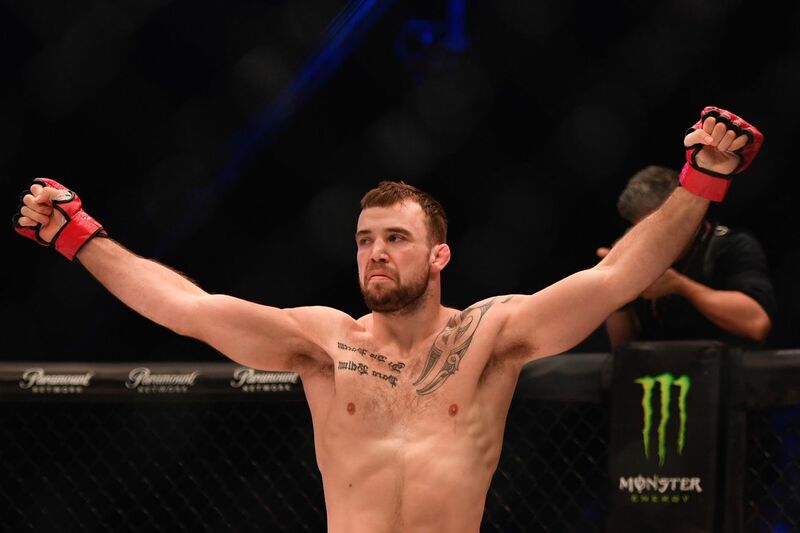 A meeting of top middleweight prospects has been added to Bellator London on June 22 as Mike Shipman takes on Costello Van Steenis. Bellator announced the bout along with two other contests — John Redmond vs. George Tokkos and Nathan Greyson vs. Frans Mlambo — via press release Friday. Shipman (13-1-0) is a former BAMMA middleweight champion and boasts an unbeaten record of 4-0 under the Bellator banner. He has dispatched both of his opponents since signing exclusively for the promotion last year. At Bellator 200, he stopped Carl Noon in 10 seconds before submitting Scott Futrell at Bellator 210. Van Steenis (11-1-0) is a protege of Bellator middleweight champion Gegard Mousasi. He is currently 3-0 under the Bellator banner. He scored a first round submission win in his debut at Bellator 185 against Steve Skrzat. He stopped Kevin Fryer with strikes in the first round of their Bellator 200 clash and most recently, he banked a split decision win over Chris Honeycutt. Former Cage Warriors flyweight champion Greyson (6-3-0) didn’t get off to the start that he wanted at Bellator Birmingham. After starting strongly against Cal Ellenor he succumbed to a choke in the late stages of the first round. He came into his Bellator debut on the back of his Cage Warriors title capture having stopped Sam Creasey in the third round of their London showdown. Mlambo (6-4-0) will contest the first bout of a new multi-fight deal he signed with the promotion when he faces “Violent Money”. A 2015 world amateur champion, “The Black Mamba” has been regularly drafted in for sparring sessions with Conor McGregor due to his pinpoint boxing ability. He recently got back to winning ways having lost a Brave bantamweight title shot against Stephen Loman. Tokkos (4-0-0) has been making waves on the regional scene and is regarded as a top middleweight prospect. He has been fairly active since making his professional debut in September 2017, seeing off four opponents before being called up by Bellator.